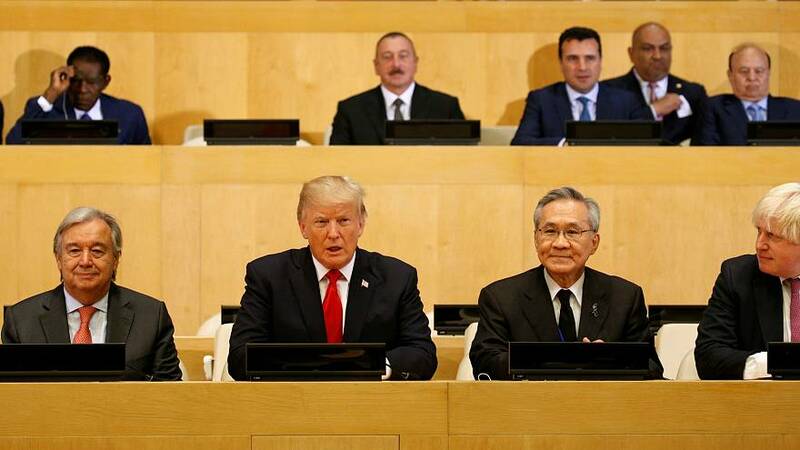 US president Donald Trump says the United Nations is not living up to its ‘full potential’ due to a bloated bureaucracy and mismanagement. “I would also be curious to know how he (Trump) would see the role of a reformed UN in the future and I think that Europeans and Americans, we share fundamental values, regardless of the administrations, whether they are in the US, or in the European Union. We need to make sure that our fundametal values are projected on a world scale and for that we need United Nations, a reformed United Nations,” said First Vice-President of the European Commission, Frans Timmermans. Secretary-General Antonio Guterres who is pushing for an overhaul of the UN bureaucracy said deep cuts to funding would create an ‘unsolvable problem’ for the world body. “The new Secretary General Guterres is very committed to reforming the United Nations, and we are fully backing him on that but that cannot be in the direction of weakening the United Nations of course,” said Cecilia Malmstrom, European Commissioner for Trade. Around 130 world leaders are attending this year’s global gathering. Trump is expected to call for a harder line on North Korea, Iran, and Myanmar when he addresses the UN General Assembly for the first time on Tuesday.